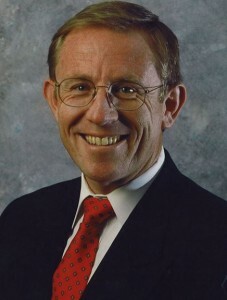 An Overview of the Legal Risks and their Solutions by Thomas R. Orr, Esq. The Angelicum Academy and Great Books Academy endorse the work of the HSLDA. Families homeschooling for the first time often have questions about legal challenges or threats that they might face from local or state education authorities. Those who do seek an answer to these questions are often faced with a confusing array of laws, policies, and regulations that not only vary from state to state, but also between school districts, and school officials within the same state or district.1 In response to this confusion, many already involved in homeschooling have joined associations like the Home School Legal Defense Association (“HSLDA”). Such associations provide some excellent reference materials, ongoing newsletters, and other informational materials.2 Their most prominent feature, however, is the limited legal services that they offer in exchange for an annual insurance-like fee. Such associations also often conduct high-visibility lobbying efforts to promote changes in federal, state and local laws related to homeschooling. We applaud and endorse the good intentions and work of the HSLDA, and all those who likewise seek to protect and benefit all homeschoolers. The Great Books Academy is an HSLDA member organization, allowing its members to obtain a discounted membership. Do you need legal insurance? Do you need to join an association to protect your legal interests? If you are in a state or school district involved in on-going harassment of homeschoolers, or denial of their rights, then it might be a very good idea to get the insurance and join a homeschool legal defense organization. But, is there a realistic chance that local authorities will challenge you legally if you homeschool? This is not to say that local school districts and superintendents will not, on rare occasions harass homeschoolers, or that local child protective services, who are sometimes biased against homeschooling families, will not investigate homeschooling families based on false reports of child abuse. Indeed, some recent reports out of California would indicate that these tactics, particularly false claims of child abuse against homeschooling parents, are on the rise. These cases can and do happen – but to a small minority. Careful adherence to local and state laws is the ounce of prevention that will avoid the pound of cure needed through legal action. What should you do if you find yourself in this unfortunate minority? HSLDA is a good place to start, but if you are not a member, they are free, of course, not to accept you as one once a problem has already arisen. As a trial lawyer experienced in litigation involving school districts and other government entities, I would suggest that consulting with an experienced local lawyer is a good first step. Specialized law firms experienced in state law and state courts generally represent school districts. A good counterbalance to such experienced local adversaries is a local attorney or firm with well-established relationships in the local business, political and judicial community. The attorney should be one with a command of local law and procedure, the ability to work out problems short of litigation, and a reputation for a willingness to take worthy cases to trial. But a call to the HSLDA is an inexpensive place to start, and they might be able to refer you to a good local attorney experienced in these matters. Bringing in a national homeschool defense organization, if you are a member, is a step that should be carefully considered. Such associations may bring expertise, knowledge and additional resources that can prove helpful. But they can also bring a level of publicity and a litigation strategy that is counterproductive to a quick resolution in the best interests of the family. Although laudatory in their goals and efforts, these associations have also been criticized on other levels. Some have criticized such associations, we think unfairly, for: fostering an unwarranted dependency on their services; imposing their own ideas of what is the best homeschool method; requiring the same information from members that is demanded by hostile school officials (i.e. test results, curriculum, academic background of the parent, notification of previous contact with officials, etc. ); lacking the requisite familiarity before local and state courts;5 engaging in legal actions and legislative lobbying that might inadvertently strengthen state and local control over homeschooling families.6 However, criticism does not always equate with reality, and is often unfair and ill-motivated, so you need to consider and form your own judgements on these matters. In our opinion, the HSLDA has been of absolutely enormous help and assistance to the great majority of homeschoolers they have represented, and to the homeschool movement as a whole, and as stated above, we endorse their work. Most states recognize the foregoing principle in some form or another and, with each passing year, homeschooling is becoming more and more accepted. Indeed, one recent study estimated that there are at least 1.23 million homeschooled children (other estimates range to over 2 million).8 Legal challenges from school officials are the exception – not the rule. This gives parents the ability and the duty to put out small legal fires before they flare up into uncontrolled litigation conflagrations. Knowledge of your state’s regulations and precompliance with them provides a safe harbor. Indeed, the minority of cases that do end up in court generally stem from a failure of the parents to follow basic state or local laws from the outset. If you receive an inquiry from a school official, handle it tactfully and without threats. Often a courteous phone call is all that is required. If your initial efforts are not successful, quietly consult HSLDA or a local lawyer on the best way to solve the problem and avoid litigation. In essence, making decisions in this area, as in all others, calls for the very thing instilled by a true classical education – the ability to make right judgements based on a proper balance of a well-formed intellect, good and sufficient information, and the moral virtues of prudence and justice. 1 Oklahoma was selected for the Academy’s Administration Office due to its very favorable environment for homeschooling. Oklahoma is the only state with a constitutional provision guaranteeing the right to homeschool. Section 4, Article 13 of the Constitution of Oklahoma authorizes “other means of education”, referring to homeschooling, in lieu of attendance at any school. If a parent is teaching the basic subjects 180 days per year, that is all the law requires (70 O.S.A. Sec. 1-110). Oklahoma has no teacher qualifications or tests for homeschools. In fact, the State Department of Education has no jurisdiction over homeschools. Snyder v. Asbery (No. 78,045, Okla. Ct. App., Div. 2, May 18, 1993). The Oklahoma Supreme Court has ruled that”Under our form of government…the home is considered the keystone of the governmental structure. In this empire, parents rule supreme during the minority of their children…they may…withdraw them from public schools and send them to private schools, or provide for them other means of education. See 70 O.S. 1991 Sec. 3-104…Okla. Const. Art. 13, Sec. 5…” School Brd. Dist. No. 18 v. Thompson, 103 P. 578, 24 Okla. 1 (1909). This highly supportive approach to homeschooling is part of Oklahoma’s populist legacy, and is still reflected in the very positive attitude Oklahomans have towards homeschooling. 2 For example, the Home School Legal Defense Association (“HSLDA”) publishes a brief and concise summary of the laws of all fifty states pertaining to Homeschooling. See C. KLICKA, HOMESCHOOLING IN THE UNITED STATES: A LEGAL ANALYSIS (rev. 1999). This resource provides a good basic starting point for families with questions about homeschooling law in their state. You can order this book directly from HSLDA by calling 1-540-338-5600. If you have access to the Internet, a great source of information on state homeschooling laws and general legal questions can be found at http://www.home-ed-press.com/HSRSC/hsrsc_lws.rgs.html. 3 Montgomery, Must I Buy Homeschool Insurance?, THE LEARNING EDGE (March, 1991). 4 Eidsmoe, Moore Teleconference on Homeschooling (April, 1995) (as quoted in M. & H. HEGENER, Homeschooling Freedoms At Risk, HOME EDUCATION MAGAZINE (May/June 1996); reproduced online at http://www.home-edmagazine.com /INF/FREE/hsinfo_far1.html). 6 See e.g. M. & H. HEGENER, Homeschooling Freedoms At Risk, HOME EDUCATION MAGAZINE (May/June 1996); reproduced online at http://www.home-edmagazine.com/INF/FREE/hsinfo_ far1.html. 7 Pierce v. Society of the Sisters of the Holy Names of Jesus & Mary, 268 U.S. 510, 535, 45 S.Ct. 571, 573, 69 L.Ed. 1070 (1925); see also Prince v. Massachusetts, 321 U.S. 158, 166, 64 S.Ct. 438, 88 L.Ed. 645 (1944). The U.S. Supreme Court has recently affirmed and underscored the importance of its holding in Pierce. See Troxel v. Granville, 120 S.Ct. 2054, 2065, 68 U.S.L.W. 4458 (June 5, 2000) (Souter, J. concurring); see also Wisconsin v. Yoder, 406 U.S. 205, 233, 92 S.Ct. 1526, 1542, 32 L.Ed.2d 15 (1972). 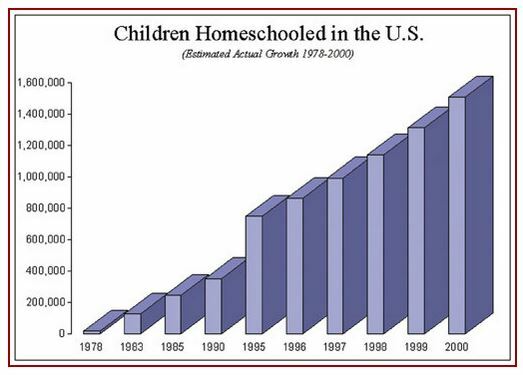 8 Several studies of homeschool growth rates have been undertaken. They include a study performed for the U.S. Department of Education. See P. LINES, Homeschoolers: Estimating Numbers and Growth, NATIONAL INSTITUTE ON STUDENT ACHIEVEMENT, CURRICULUM, AND AS-SESSMENT, OFFICE OF EDUCATIONAL RESEARCH AND IMPROVEMENT, U.S. DEPARTMENT OF EDUCATION (Web Edition, Spring 1999)(http://www.ed.gov/offices/OERI/SAI/homeschool/); P. LINES, Homeschooling: An Overview for Education Policy Makers (rev. March 1997). 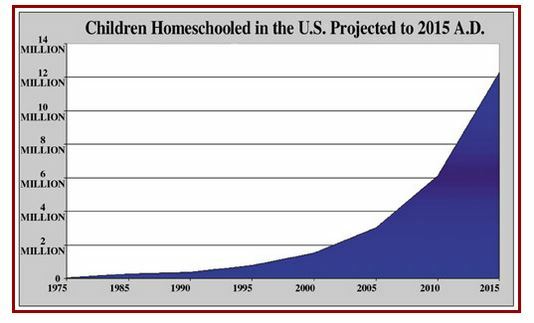 Dr. Lines’s study for the U.S. Department of Education estimated the homeschool population at 750,000 in 1995-96 and 1,000,000 in 1997-98. Dr. Lines estimates an annual growth rate between 7% and 15% with a 15% percent growth rate being most consistent with past growth. The charts above are based on Dr. Line’s numbers and her estimated growth rate of 15%. The HSLDA has also sponsored a study of homeschool growth rates. B. RAY, Strengths of Their Own: Home Schoolers Across America, National Home Education Research Institute (1997); B. Ray & HSLDA, Home Education Across the United States, http://www.hslda.org/central/statsandreports /ray1997/2.stm; see also Facts on Home Schooling, NATIONAL HOME EDUCATION RESEARCH INSTITUTE, http://www.nheri.org /research/general .html).